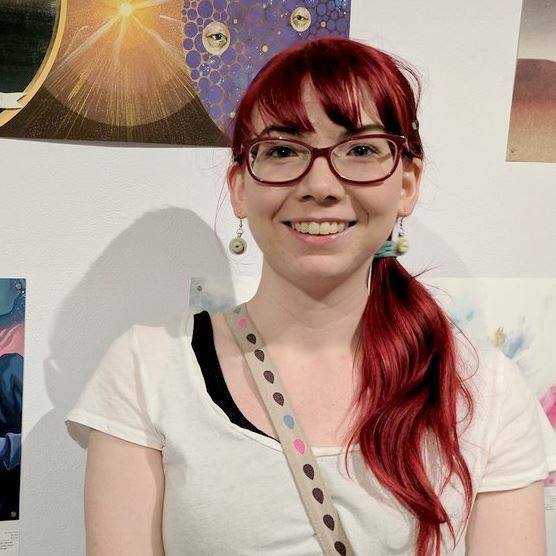 Kira Night is a Minneapolis-based artist and illustrator working primarily with digital media. She is most passionate about painting whimsical worlds inhabited by strange and spooky characters, and she loves playing with vibrant and unexpected colors. These days, Kira works mainly on commissioned illustrations, most notably for book and fandom subscription box companies. The majority of her days are spent painting at home with her spouse and 2 cats, but you can occasionally find her at some small and mid sized conventions in the Midwest.